Last week StrataCore and the Seattle SIM co-hosted a panel discussion at the Big Picture in Seattle. 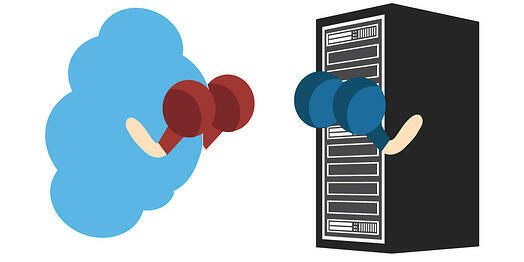 The topic was: Cloud vs Colo Smackdown – Where Should You Put Your Infrastructure? Over the past few years we’ve experienced a massive shift in how technology operations are being deployed; cloud was once an edge case and now we regularly see companies spending early, middle, and late stages in the cloud. It’s no longer a question of if you will move to the cloud, but how you will move to the cloud. Some organizations, however, are experiencing "cloud burnout" and pulling infrastructure deployments back into the data center. The flexibility, agility, and scalability of the cloud come with a potential price for organizations using this technology. Whether the cost basis is money, control, performance, security, or reliability – at some point the price can become too high for some businesses. As a result we now see companies moving in and out of public cloud, private cloud, and data center models for infrastructure deployment. Here is the video recording of the Cloud vs Colo Smackdown, where you can hear from three seasoned IT operations experts sharing their technology transformation stories of moving in or out of the cloud. Paul talks about Big Fish Games moving their free-to-play games operations from public cloud to a hybrid cloud infrastructure that included integrated on-prem IT services and off-prem private cloud infrastructure, which enabled them to deliver a cloud ecosystem to their 500+ third-party game development partners. Wayson explores the change in deployment methodology for Infospace’s growing search business with a large percentage of international queries. They are finishing the process of moving from colo to public cloud due to the need for a scalable, low CapEx solution to quickly spin up infrastructure close to their growing international client base. Mark’s story starts with a sizable monthly public cloud bill, and ends with Moz moving nearly everything from public cloud to colo. They created their own private cloud hosted in a data center - the “Moz Cloud”, and saved a ton of money in the process.